Mickey and Mallory Knox are your modern day Bonnie and Clyde, traveling across the United States on a wild killing spree. Will you cheer them on, or hope they get what's coming to them? 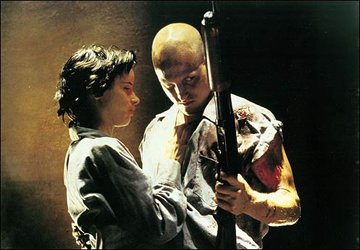 You may be the only one left alive to tell the tale of Mickey and Mallory Knox, but how well do you know Natural Born Killers? Cast: Woody Harrelson, Juliette Lewis, Tom Sizemore, Rodney Dangerfield, Robert Downey Jr.